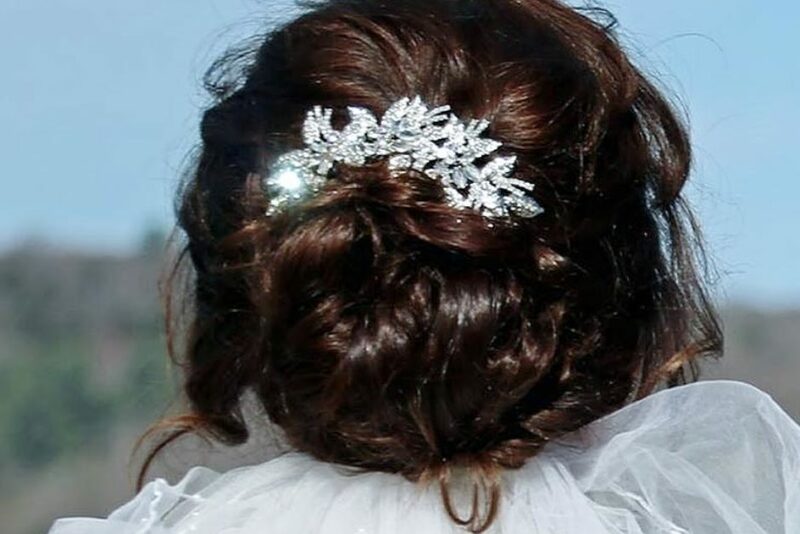 glittering collection of finely-crafted tiaras and hair adornments. 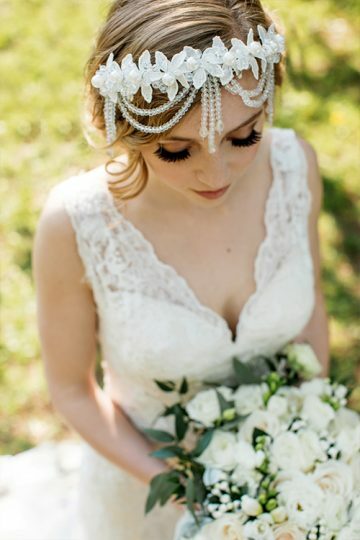 We are delighted to provide a large selection of finely-crafted hair adornments to complement your bridal style. If you have any questions about our pieces or about styling for yourself or your wedding entourage, please contact us. We love hearing from our brides! Crowned by Juliet is a place where glamour and elegance are combined to make romantic visions a stunning reality. At Crowned by Juliet, We’re celebrating Canadian girls from sea to sea by showing off their diversity and creativity and beauty. We hope that the stars align to give you the wedding day of your dreams; and we hope we can contribute to your joy! A bride’s light dazzles from within, and warms the hearts of those who see her and love her. 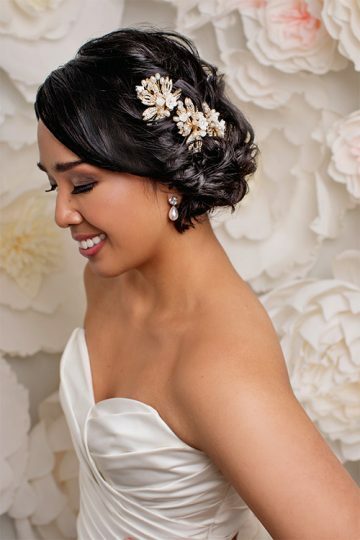 We hope to help you dazzle on the outside too, with hair adornments that truly complete your vision. 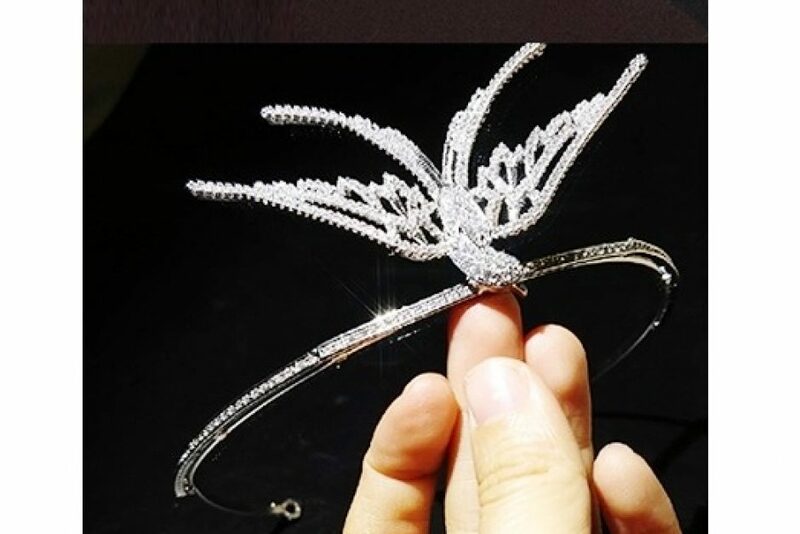 Whether it’s a breathtaking simulated-diamond tiara or a starfish beach comb, a boho frontlet or a winter crown, (we even have bling for your cowboy hat), we will help you make magic. We would truly enjoy hearing your style questions; making brides even more beautiful gives us great pleasure because we love what we do! 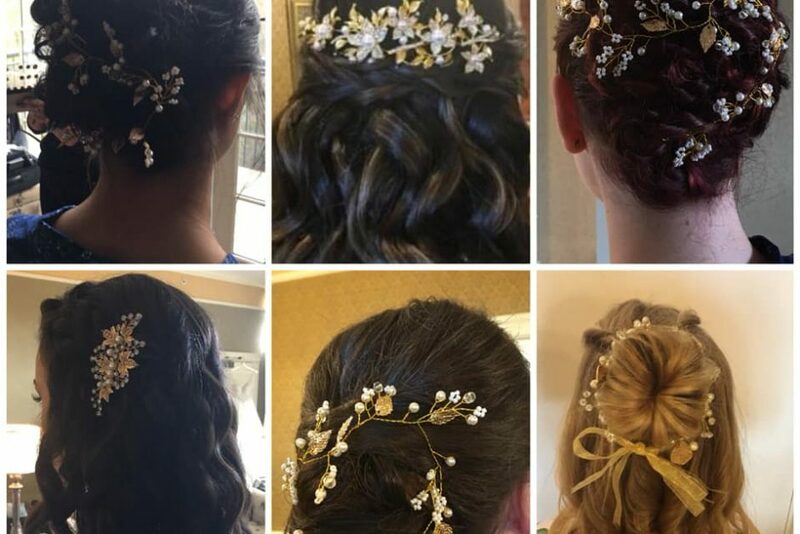 It’s the brides that make the tiaras and vines come alive with beauty and style. 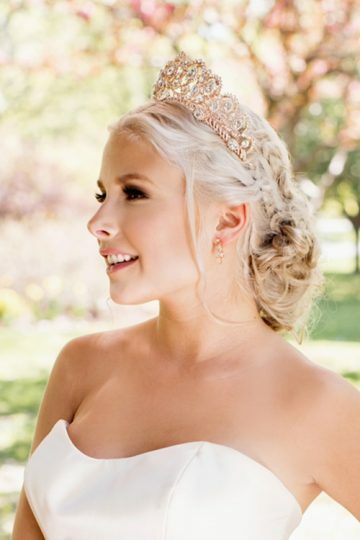 Each bride radiates joy in her own way, walking up the aisle to meet her betrothed; the romance fills the air, the sighs and tears and excitement touch every person watching. 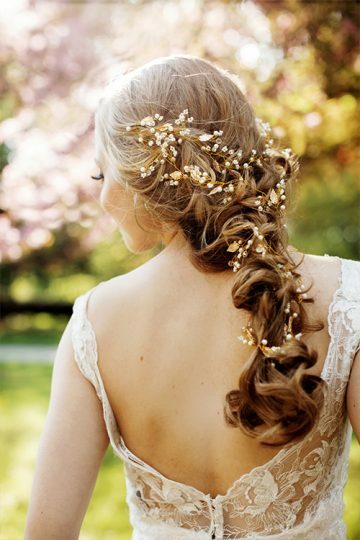 We enjoy knowing that your hair adornment will add to the magic of the moment. I HIGHLY recommend this wonderful company for any event. 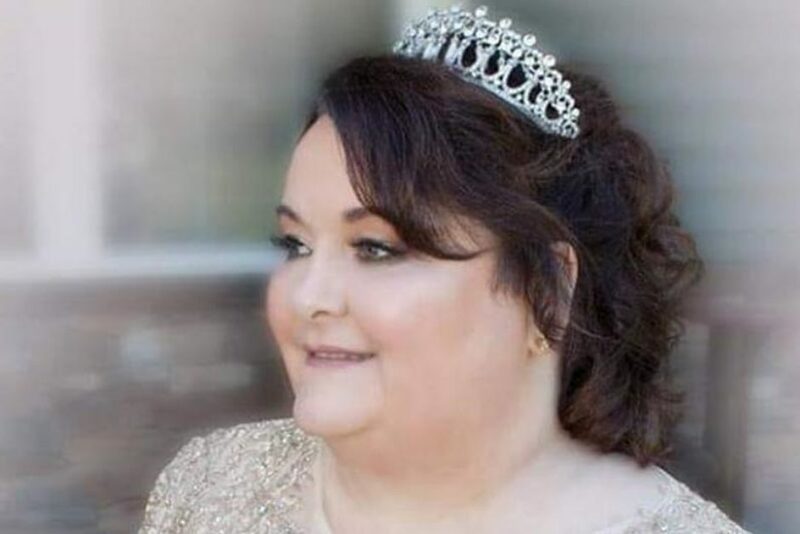 Debra has a wonderful and beautiful collection of all sorts of tiaras for the special occasion! She made me feel so welcomed and excited for my big day as a bride. We discussed ideas I had and she had many laid out on display for me to look through and try on. She was accommodating offering to alter anything or add anything. She truly made you feel very special. In the end I went with an elegant comb. Thank you Debra for being part of my special day. I wish you all the very best and will definitely be using your services again! This company is a 5 star all around! 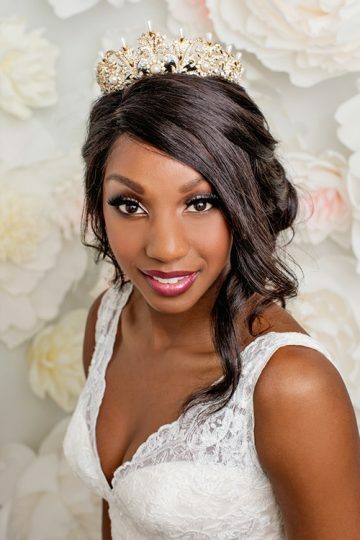 Amy K.
On June 23rd I had the pleasure of being the makeup artist for this beautiful bride who happens to be my sister. 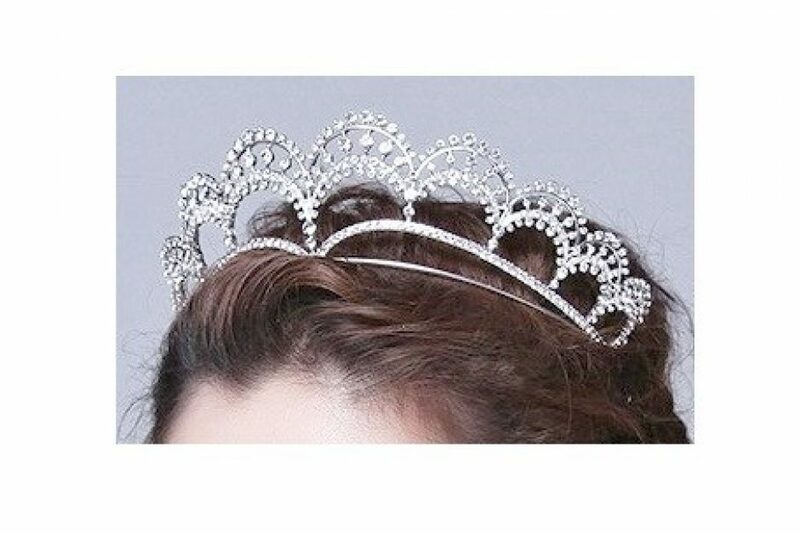 She so wanted a tiara and I knew just who to call. Debra's pieces were stunning and my bride agreed. 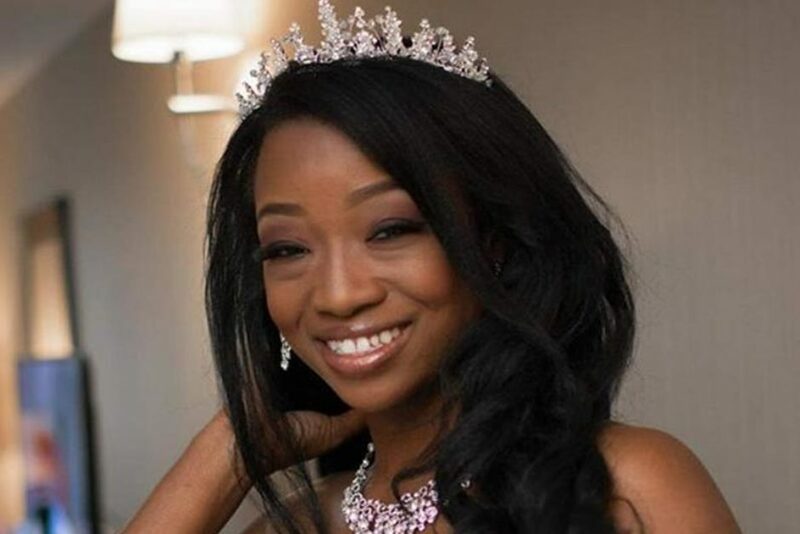 Thank you Crowned by Juliet for the Alinka Tiara she was beyond impressed with the quality and detail. 5 stars!!! 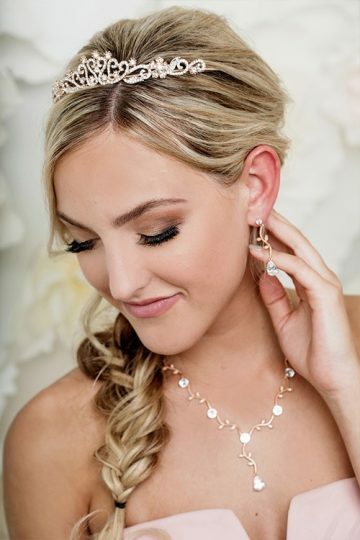 Kerry C.
Every girl wants to be a princess on her wedding day..... I'm no exception. 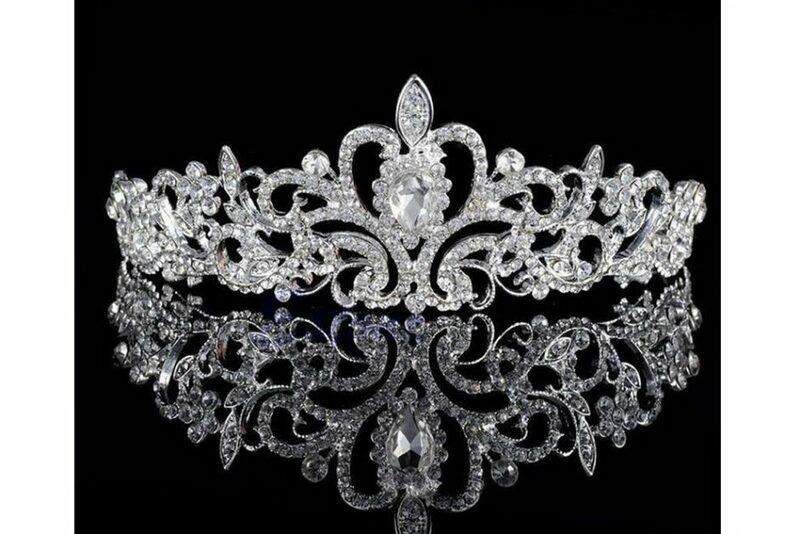 When my husband proposed to me on Christmas Eve, I started planning my fairy tale...I knew exactly what I wanted....Princess Diana's Cambridge Love Knot Tiara..... my absolute favorite. 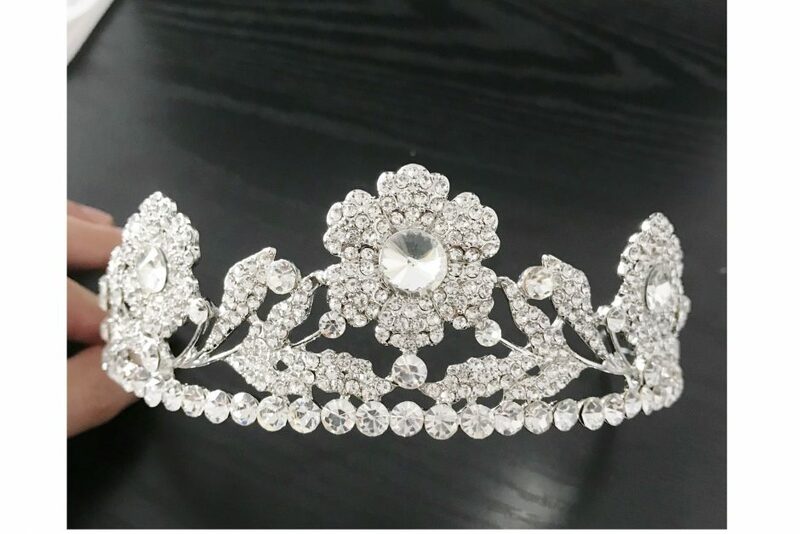 Debra took such great care to ensure that my tiara was just perfect, finding a couple of examples of what I asked for and sending many pictures and messages prior to shipping my piece. I couldn't wait to get home... Bev E.